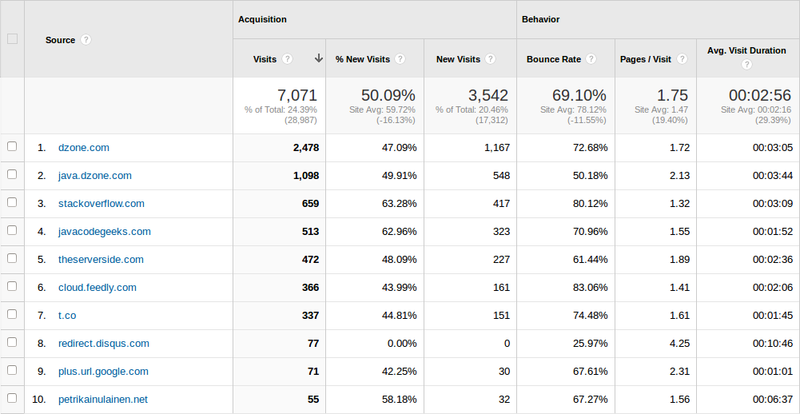 it was the first full month that I had the new Email Signup Form live on the site (and the results are in – see below). I ran a few page-wide A/B tests (using Optimizely). I published 3 new cookbooks and re-worked 2 existing articles. Seeing how the reception of my experiment – to publish my internal development cookbooks – was well received – I continued to work in that general direction and put out a few more of these schematic and cone centric articles. 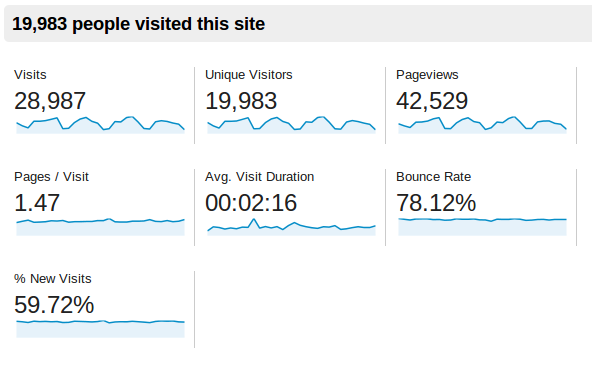 Let’s look at the traffic for the month of November. 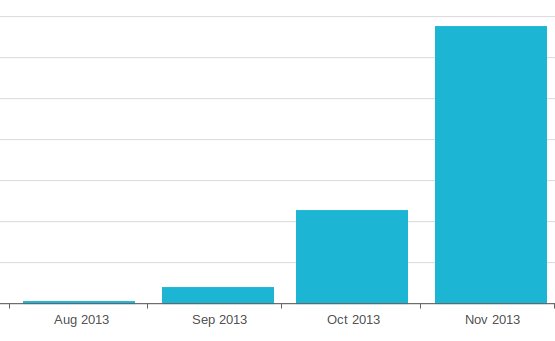 Interestingly enough, both Feedly and Twitter (t.co) have grown by about 50% this months. Also interesting is that Facebook dropped out of the Top ten, as expected – it was only for the month of October that Facebook had reached the top ten. I had 338 new signups for the month of November, compared to the 114 I saw in October – an 197% month over month increase, which I’m excited about. I got the additional increase if signup conversions by using an new End-of-Article Signup Form to remind readers to get on the email list. I also ran and am still running multiple micro A/B tests to experiment with different copy for the email subscription Call to Action – these have much less dramatic results – but they add up if you keep at it. (new) Improve Email Opt-In Conversion by 229% – Case Study. (new) Is It Worth having an Email Optin Form at the End of the Page? With all of these changes in place, I expect December to be much more stable in term of signups to the email list – now that some returning readers are already signed up, and new readers are a little less likely to signup up on their first visit. My first take away for this month is discipline – running and properly tracking multiple A/B tests in parallel, each on it’s own independent area of the site – takes a disciplined and organized approach so that the information is easily accessible, but most importantly actionable. If you keep doing it thought, bit by bit the results will add up and start making a difference. Tools is the other big takeaway – running an A/B test entirely by hand is definitely possible, but I wouldn’t recommend it. I’ve been relying heavily on the A/B testing functionality from the Optinskin wordpress plugin, as well as Optimizely for page-wide experiments. Both of these have the A/B test as a first class citizen and make is so much easier to run a test and track results. Here’s for a good December (I should really have some bear around when I write these).